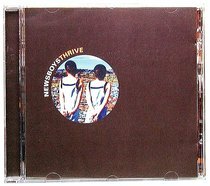 Steve Taylor returns to produce the Newsboys' new pop/rock CD, THRIVE - and the creative chemistry is explosive. This album reveals a band continuing to mature both musically and lyrically. The first single, 'It is You' entered the top 10 in its first week, and is an awesome introduction to this landmark release!